World Book Day is just around the corner so I thought I would dedicate my 5 for under £5 this week to World Book Day costumes. 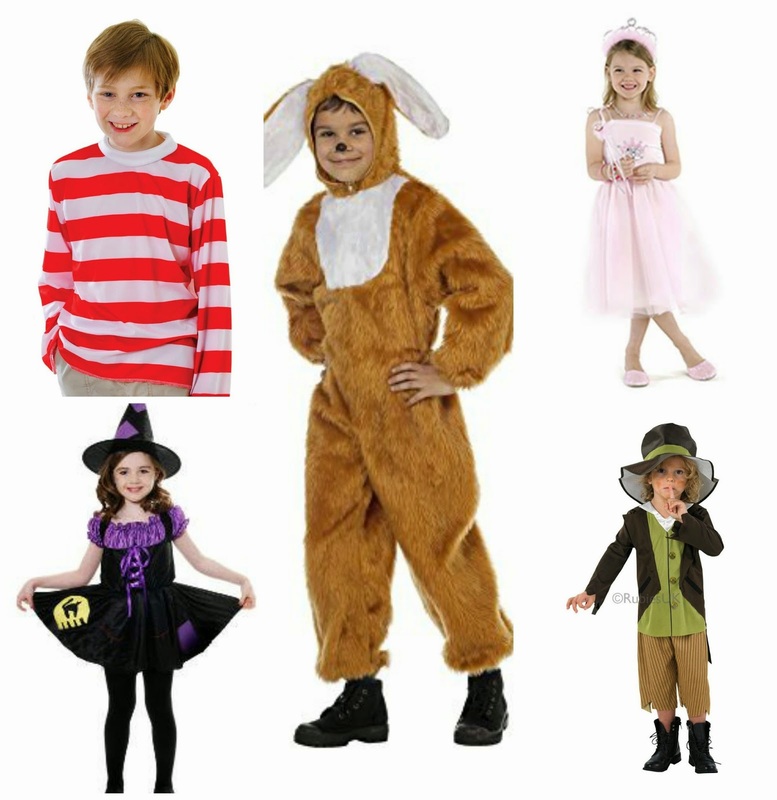 These costumes can be purchased off Amazon with free delivery when you spend over £10. I simply adore this costume and if it had been in Maxwell's size, I would have purchased it. I think this outfit would be perfect for any Alice In Wonderland fan. You can add accessories to it to make your child look unique. Every little girl loves dressing up as a Princess and World Book day is a great day to dress up as a princess. There are many princess's in books however a few of my favorites are in Princess And The Frog and Sleeping Beauty. I am a huge fan of this type of costumes as I love how unique the costume looks. This costume is perfect if your child wants to look like Oliver Twist this World Book Day. Add some dirt on your child's face and your child will look the bee's knees in this costume. Going as a witch on World Book Day seems a popular choice. There are plenty of books which feature witches however a few of my favorites include Winnie The Witch and Room on the Broom. A popular and easy choice on World Book day seems to be Where's Wally. This costume is easy to do when you get a red and white shirt, team with a plain pair of trousers, a black and red hat and glasses and your child will stand out from the crowd.